North Coast Harbor is a district in downtown Cleveland that sits on Lake Erie and anchors world-class venues such as the Rock and Roll Hall of Fame and Museum, FirstEnergy Stadium – home of the Cleveland Browns – and the Great Lakes Science Center. Additionally, the district is energized with weekly events that draw in residents, out-of-towners and regular visitors to enjoy everything the lakefront has to offer. Develop and activate brand and marketing strategies to unify lakefront stakeholders around a distinct brand and elevate the area as a must-see destination. 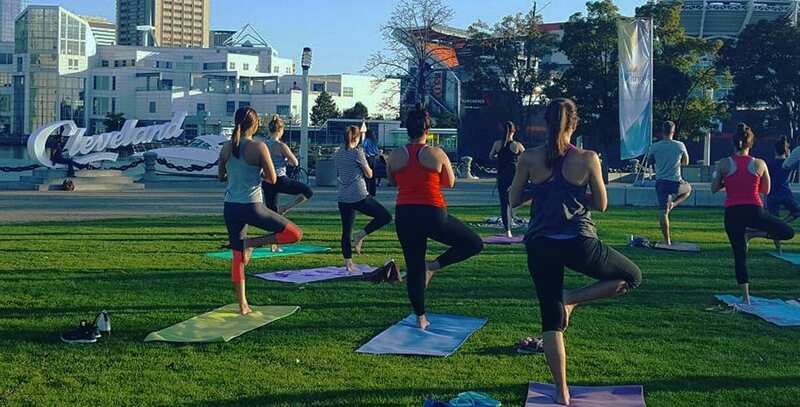 Despite being home to world-class venues like the Rock and Roll Hall of Fame, the Great Lakes Science Center and FirstEnergy Stadium, along with beautiful public spaces like Voinovich Park, the lakefront area sat lifeless on non-event days. City of Cleveland and Downtown Cleveland Alliance engaged Guide Studio to develop and promote a brand that showcases North Coast Harbor’s comprehensive value. “Guide Studio consistently brings great ideas and creative solutions to the table, and everything they do ties back to the core of our brand,” said Kerr. Architect a wayfinding and sign system to identify the district: With the purpose and messaging for North Coast Harbor completed, the team was able visualize how the area could be transformed into a true urban asset that is embraced by residents and visitors at every turn, that translated into gateway and wayfinding signage that helps people navigate their way around. 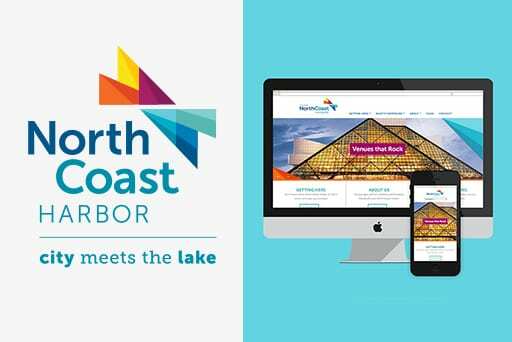 Develop a website as the virtual North Coast Harbor home base: With the website, prospective visitors can virtually connect with the district to learn about all of the exciting news and events in one place, which is especially helpful for people on-the-go, rather than having to visit each venue’s distinct website. Additionally, the website provides an understanding of what the experience is going to be like before a visitor arrives, with visuals and photos of the district and events, and provides the practical information around how to get there, where to park and what to do. Brand and market district events. Special events are at the core of the brand, providing entertainment and opportunities that can be “enjoyed and celebrated by all.” Guide Studio branded these events, including North Coast Namaste, Pilates on the Pier and Fish CLE for Free and use those brands to build awareness and draw in both locals and out-of-towners, including press releases and media outreach, brochures, hotel rack cards, taxi toppers, signs, website and social media content, and more. Leverage earned PR to drive attendance for events and build awareness around the district: Guide Studio leveraged the event brands to help tell a story about the experience (or the promise of the experience), which was pitched to area publications and media. 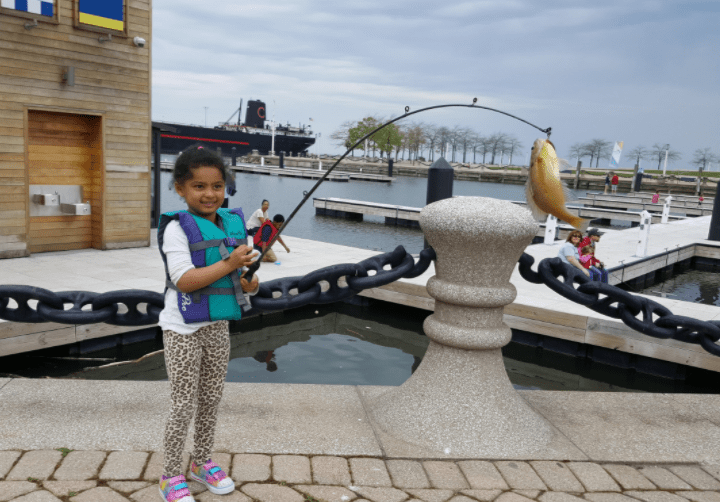 North Coast Harbor benefited from a robust earned press campaign, including an interview on Fox 8, radio interview on the Wake Up Show, Northeast Ohio Parent Magazine, The Plain Dealer, among others. Engage brand champions: Guide Studio held both individual and group brand engagement sessions with the North Coast Harbor stakeholders to engage them, garner their support and participation as representatives of the district’s brand. In essence, if North Coast Harbor wins, everyone wins. Guide Studio also established a North Coast Harbor marketing steering committee to meet regularly, generate new ideas and identify opportunities for collaborative marketing that benefits the entire district. The multi-faceted approach North Coast Harbor has taken over the last few years — developing a new brand, launching a portfolio of events and coordinating efforts with all stakeholders — has helped the district make a name for itself among the top things to do and places to visit in a city overflowing with activity. The area that once sat vacant during the weekdays and the football team’s offseason is now bustling with people because of its well-connected brand experience.